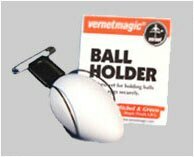 The best yet for holding balls or eggs securely. 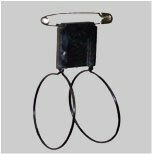 It’s ideal for pinning inside your jacket or any other location necessary to suit your requirements. Objects can be taken out or replaced. Perfect for use in a Multiplying Ball routine. 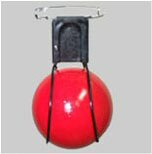 The Ball Holder is made of sprung steel and plastic.